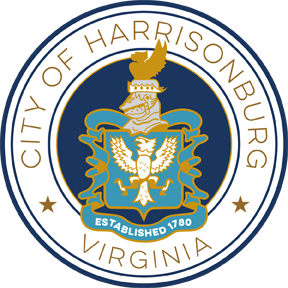 The City of Harrisonburg offers various walking/running trails throughout the various parks. 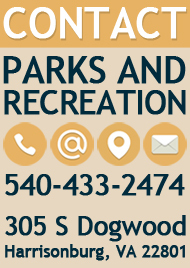 Purcell Park has a 1.5 mile path around the park and is a popular target among Harrisonburg residents. A 1.3 mile path with 11 exercise stations is located around Hillandale Park. Ralph Sampson Park and the Smithland Road Soccer Complex also have natural surface paths running throughout their individual locations. Bluestone Trail is a 1-mile shared use path that is 10-ft wide and paved. It runs from Port Republic Road through Purcell Park to Stone Spring Road. Biking is very popular in Harrisonburg. The Rocktown Trails at Hillandale Park offer three different levels of difficulty to appeal to a complete spectrum of cyclists - novice to expert. The trails are also open to runners and walkers. There are new projects being planned for future biking and walking paths and trails. These projects include a path between Port Republic Road and Purcell Park to the Ramblewood Athletic Complex (known currently as the “Bluestone Trail"), a trail between Westover Park and Thomas Harrison Middle School, Hillandale Park and Bluestone Elementary, trails at the Ramblewood Athletic Complex, and trails at the Smithland Road Soccer Complex.